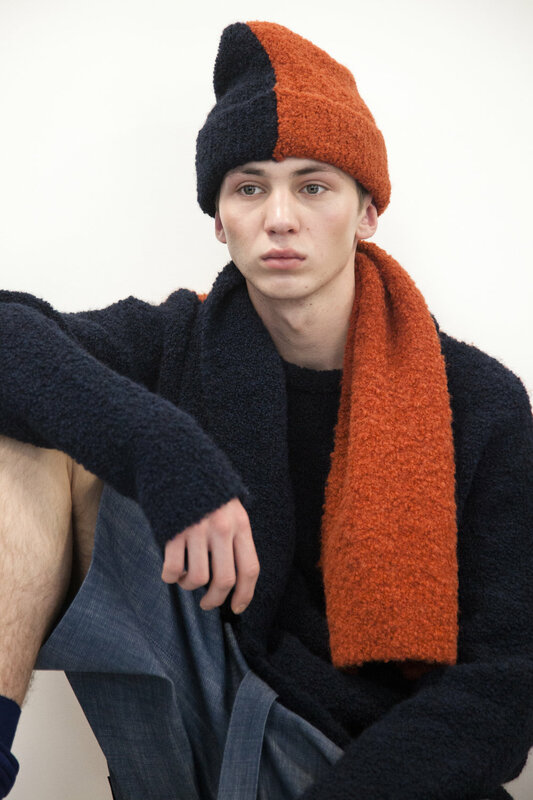 Lou Dalton delivers great clothing, and today she delivered a presentation of fantastic pieces. A range of knitwear compiled most of the collection. It was handsome, enamoring and cool. In a white, sky high building in St James's Market, light poured into the seventh floor. Models of a diverse range sat in a group along a wall. Some stood, but all looked as though they were perfectly at ease. 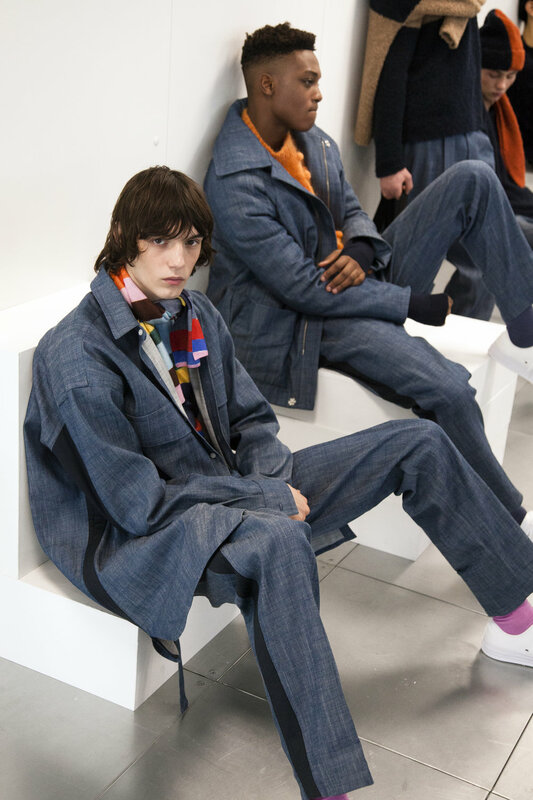 Dalton introduced denim in a range of white and blue well structured light jeans, rearing out at the bottom. 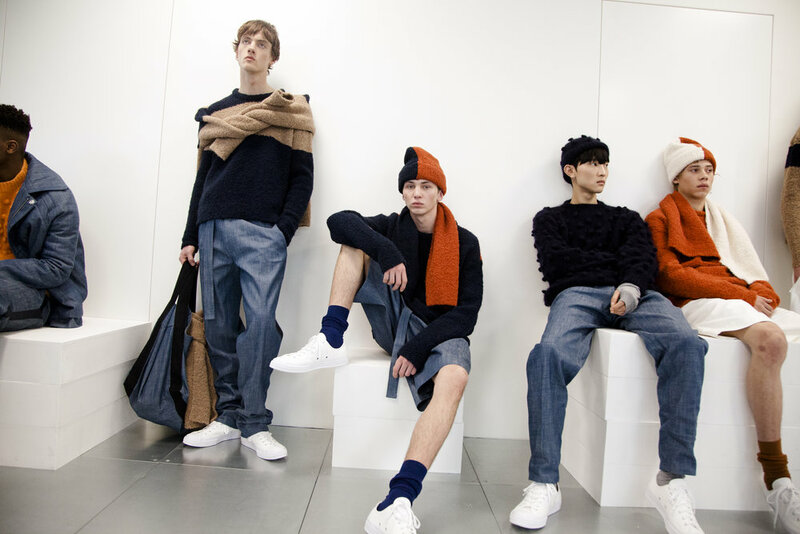 To break up the straight edges, Dalton added slouchy sweaters, scarves and hats, all of which were equally wearable. Perhaps most of all colour played the defining factor, with two tone pieces (subtle brown and navy) , and a suit with seven different colours combined (fuchsia red, wild, orange, sky blue, baby pink, can green, cloud grey, and bright yellow). 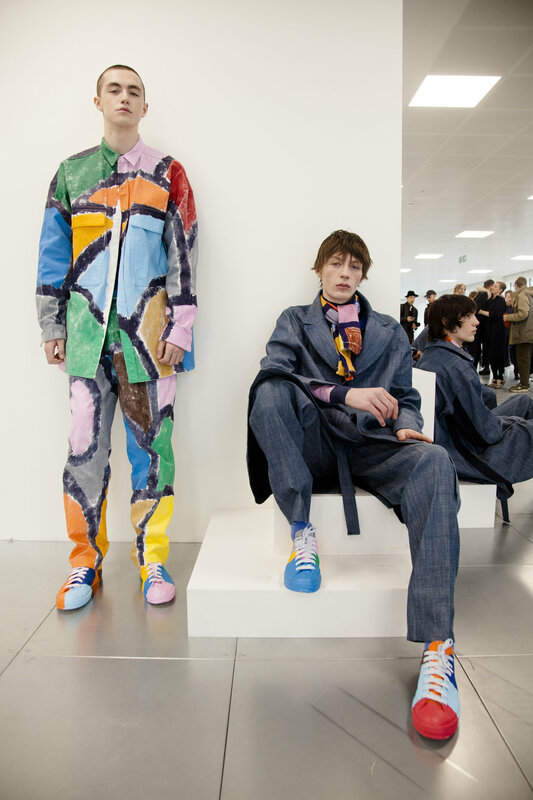 Sweaters were knitted and hand painted with fantastically bright stripes and dabs of colour by the artist John Booth, and his painting extended to the Converse worn throughout. The practicality of these clothes could not go amiss. The bags were large with long straps for practicality, to be held lower than the knee. The jackets cutting just below the waistline, as though designed to be slung on, and the jumpers designed soft and comfortable that they fit around the neck like a scarf. Dalton created a highly styled vision. 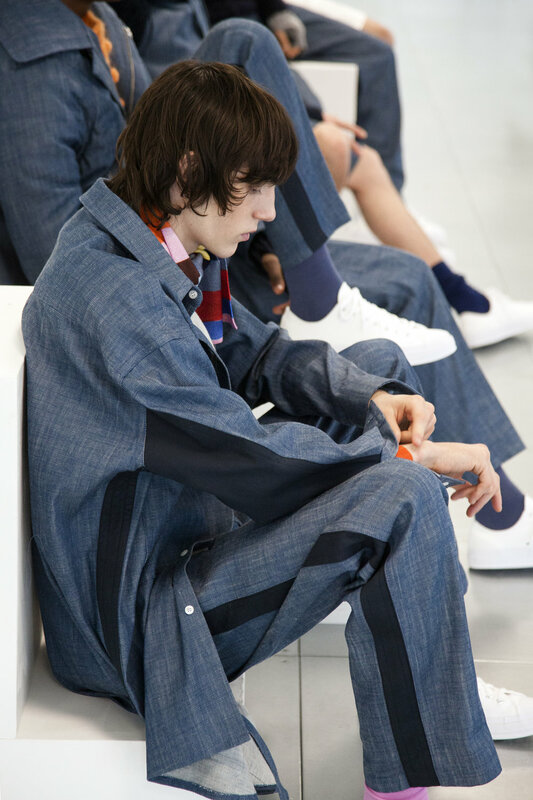 Creatively charged, and each look a game changer for the cool, the unnerved and the fresh man.